SMAK AV BOK (The Taste of Books) is a two year long workshop and touring exhibition with a group of 10 artists from or with connections to Bergen, Norway. Please Me! : Please Me! 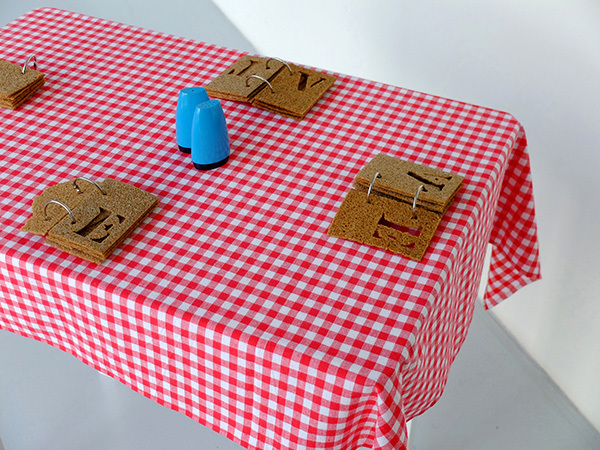 was my response to the Smak av Bok project - two tables with books made of Rugsprø crisp breads with hand cut text reading EAT and READ.